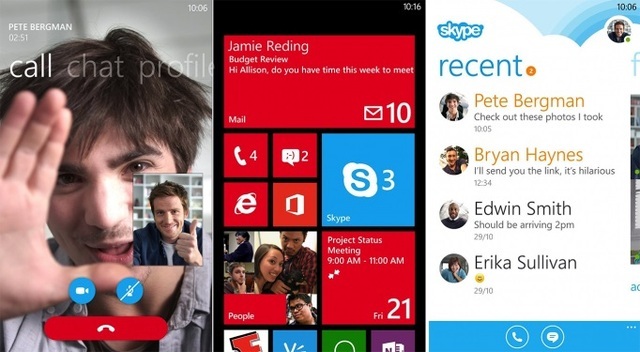 Earlier in the year we listed out some must have apps for Windows Phone 8. Specifically, there were 11 of them on our list, and by no means was it definitive. These couple of months have brought us some new apps as well as updates that finally make some useful apps usable. Even though the Windows Phone Store is nowhere close to its Android or iOS counterparts, some big names are finally turning their attention to Windows Phone and other most wanted apps are being handled by non-affiliated designers that are frankly doing a fantastic job. A great example is one of the entries below, an unofficial Wikipedia app that is even better than the official Wikipedia app on other platforms. 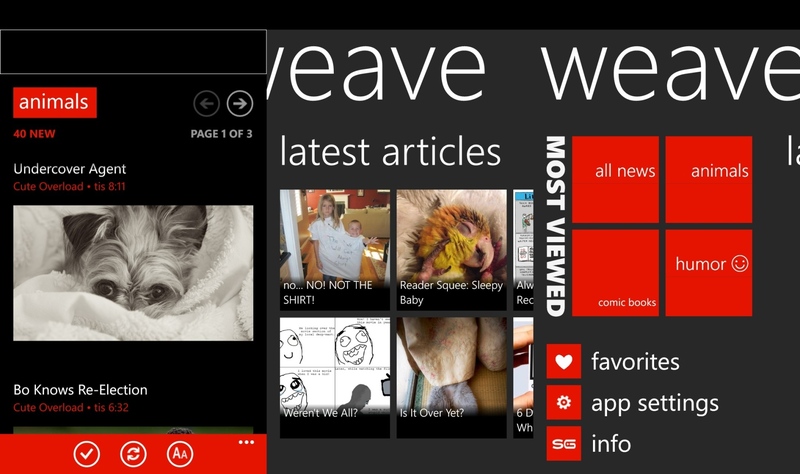 So here’s 10 more must have Windows Phone 8 apps! Even though Microsoft owns Skype, it took a fairly long time for the official app to be usable on its own mobile platform. The initial beta version available for a few months was riddled with bugs and was often blamed for battery drain. However, the recent versions are categorized as release versions and fix pretty much everything wrong with the app. There are some issues with calls not being received as they should be, but it’s not a dealbreaker. Voice and video quality is very good depending on the network, plus the UI isn’t half bad either. Weave is an excellent RSS newsreader that has curated sites under topics like entertainment, technology, comic books, news, you name it. A clean UI lets you view multiple news headlines at once, yet it never seems cluttered. Most articles open within the reader itself and it updates quite well even under spotty network conditions. The best part is probably the wide live tile that updates regularly with notifications and new pictures, it looks great. If like me you always want your homescreen to have something new, Trivia Buff is the app for you. This lightweight app displays random trivia from a variety of sources and can even be traced to their source. The largest live tile updates itself with a fact regularly, so there’s always something fun to read. Again, Trivia Buff also works well on slow mobile networks, so it can keep you entertained for quite a while even if a fast network isn’t available. Only downside is that it sometimes shows wrong facts, from sites that are meant to be fake. 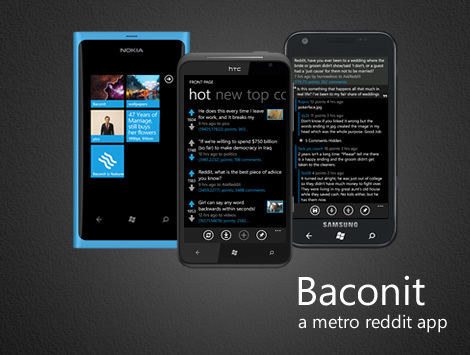 For Reddit users, Baconit is the best app on Windows Phone. It lets you browse the hugely popular social website from your phone, add/remove subreddits, add/remove subscriptions, lets you downvote/upvote posts and does pretty much everything you’d expect. The Modern UI also makes it very easy to use, plus additional features like live tile and lockscreen support undoubtedly make it the Reddit client to have. The Internet Movie Database (IMDb) app lets you view the latest movie news and ratings directly from the parent site. Even though the UI has been unchanged for a while now, it’s still a functional app that gets the job done. You can watch movie trailers, rate movies, read critic/user reviews and do most of the things you can on the full site, only messaging boards, FAQs and the like aren’t accessible. The live tile brings you news updates from tinseltown as well. Foursquare is a location based social network that lets you “check in” to places for badges and points and also doubles up as a service to discover attractions near you. The recent revamp on Windows Phone 8 introduced a swanky new interface and it works well in pretty much any city. Other than letting your friends know where you are and get some offers, it’s also quite handy to find out something like the nearest ATM or pharmacy. Overall it’s a great app to have in your collection. There’s a lot of battery apps on the Windows Phone Store that make up for the lack of a proper battery indicator built into the OS, but there are only a couple that are really noteworthy. This app by Enless Soft is simply called “Battery”, and is my pick for its simplicity and minimalism. Mostly accurate battery readings apart, it has a neatly laid out homescreen that provides information on discharge rate, time remaining, last charge and of course percent charged. What sets it apart is the huge number of live tile customizations and the inclusion of a bar on the app homescreen that lets you toggle WiFi network, mobile network, location, Bluetooth and flight mode. So it basically serves the dual purpose of being a battery app as well as a means to quickly access frequently used settings. There’s no battery graphs as of now, but its promised to be coming in a future update. Winner of the Next App Star contest by Microsoft, this unofficial Wikipedia app is far better than even the official apps available on other platforms. Apart from a great UI, it has features like voice commands/speech recognition, offline article saving, NFC sharing, reader support, multiple language support and much more. If the live tile is enabled, it shows pictures from article of the day, pretty neat! ProShot placed 2nd in the Next App Star contest, but that doesn’t make it any less awesome. In fact, most people still think it should have been the winner. It gives you far more control over your camera lens than the stock app, and lets you adjust settings like exposure time, shutter speed and more, while also adding higher ISO value support. The manual mode lets you tweak a lot of settings to your hearts content, and photographers have been able to take even better photos on the Lumia 920 than the built in camera app. It isn’t free, but the 1.49$ price tag won’t burn a hole in your pocket either. If you’re a photography buff, this is an absolute must have app and is really worth the price. Nokia and Windows Phones are known for their great mapping services, but its main competition Google Maps is still the most used mapping service in the world. gMaps is an unofficial app that brings Google Maps to Windows Phone, with pretty much all the features of the official apps on other platforms including public transit, map layers, street view, alternative routes and much more. As a basic mapping service, it’s more than usable and even supports navigation. Since a lot of services and establishments are listed on Google Maps, its always good to keep both mapping services in your phone. There are two versions of the app, a free version supported by ads, and an adfree version that costs just 1.99$. 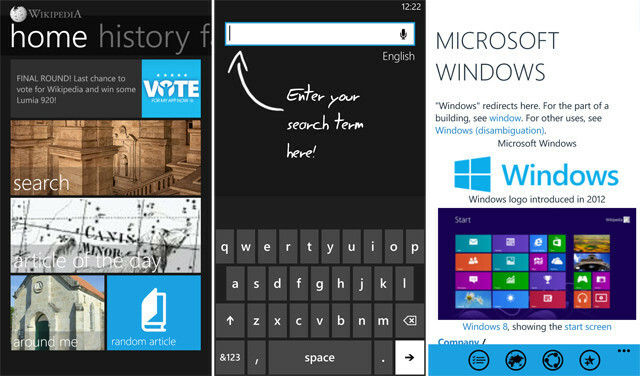 So those were our picks for the second round of must have apps for Windows Phone 8. We’re pretty sure that there are more apps on the way and there probably will be another similar list, so until then, let us know what you think of the list and also tell us if you think any other apps deserve a spot! 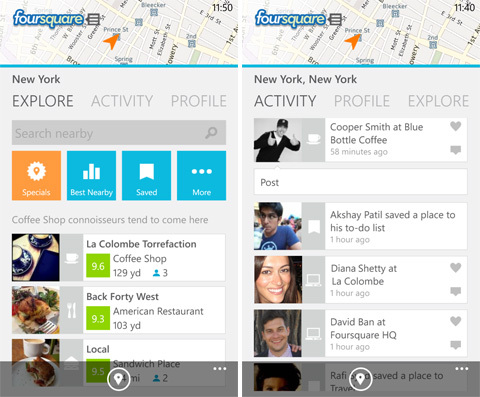 I am very happy to see the part 2 of the windows 8 apps, foursquare is the most awesome apps I used it many times, Its awesome . I have not used ProShot yet i would like to use it now. Thanks for sharing all are awesome apps. Must have Windows phone 8 App voice and video is the good sound..